There is more to a cover than it's cachet. 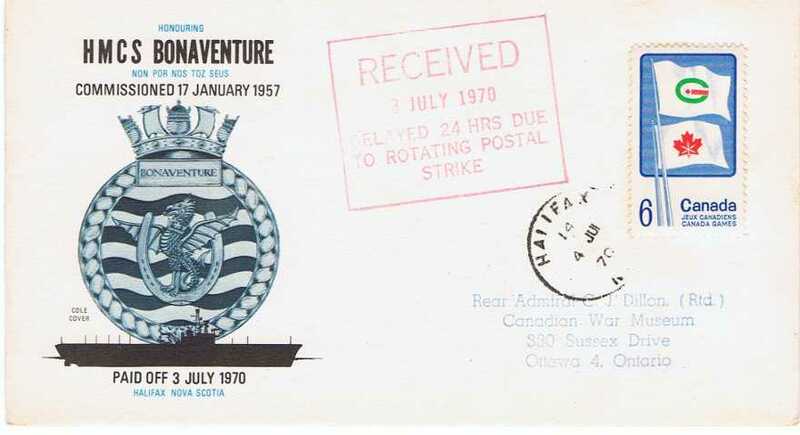 The above cover was designed to pay tribute to Her Majesties Canadian Ship Bonaventure on her decommissioning. The Bonnie was a Majestic class aircraft carrier initially laid down in 1943 as HMS Powerful for the Royal Navy by Harland and Wolff of Belfast. She was only completed in the 1950's after she was purchased by the Royal Canadian Navy. This cover has some interesting auxiliary markings. 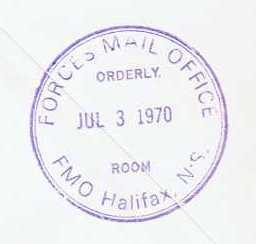 If we start on the backside of the cover we have two marks, the first, dated July 3, 1970 is from the Forces Mail Office in Halifax. 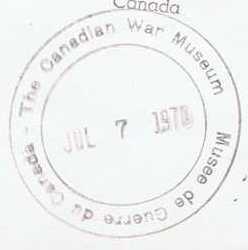 We also have the receiving mark at the Canadian War Museum on the 7th of July 1970. 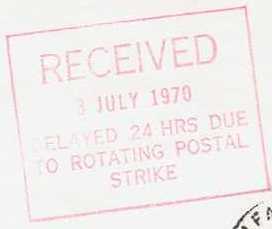 If we return to the front of the cover we see that although the cover was posted on the 3 of July 1970, due to a rotating postal strike it wasn't actually processed through the mail system until the 4th of July as indicated by the Halifax CDS. 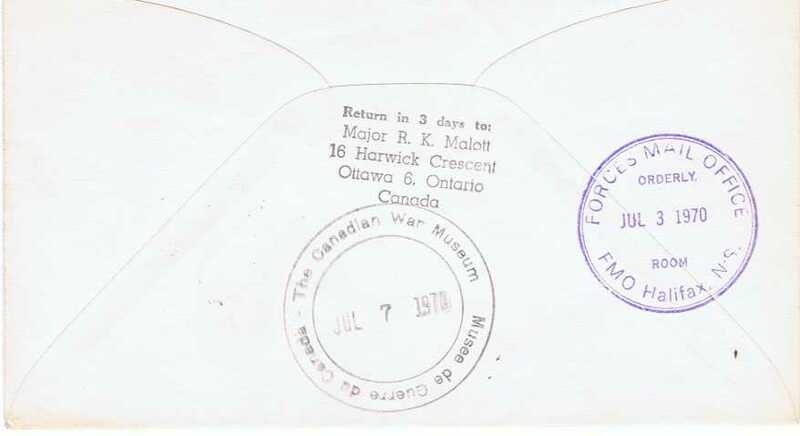 Also of interest the addressee was once the Comptroller General of the Royal Canadian Navy and the return to address on the back is the past president of the Canadian Aerophilatelic Society, and a major contributor to aerophilately. It is amazing what a simple philatelic cover can help us uncover.